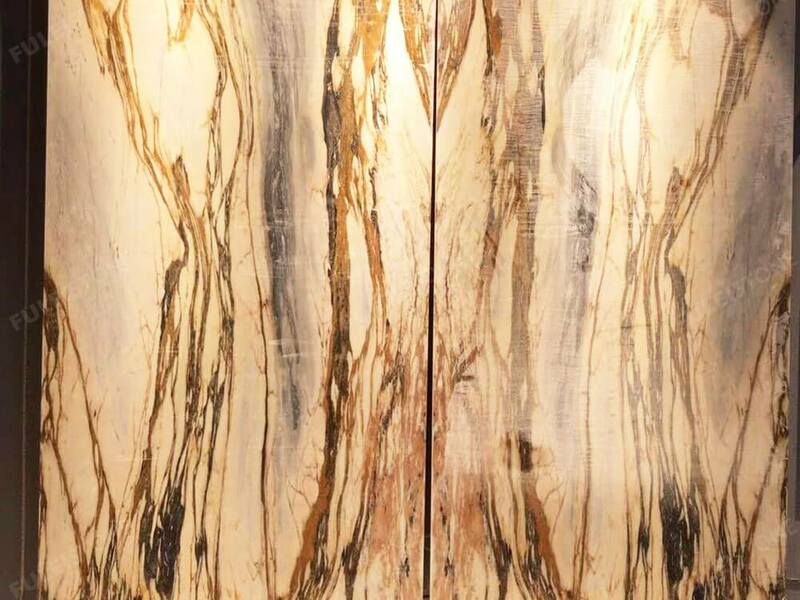 New Giallo Siena Marble Slab, which is highly appreciated by its exquisite texture, great hardness, stylish vein-cut pattern, and practicability. 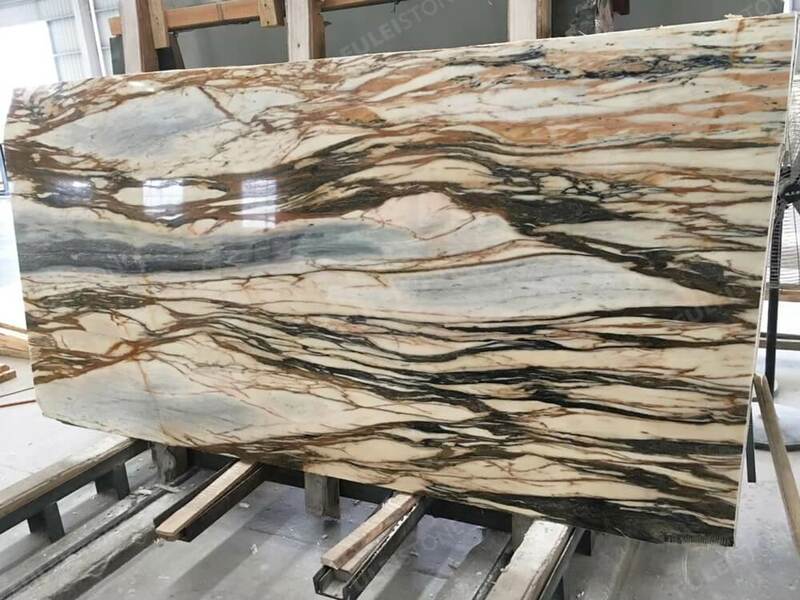 This new arrival material can perform well in backlit background and countertop, which is fascinating and unique for interior decoration. The 1.8 cm slabs, tiles, and also blocks are available. Fulei Stone, which is founded in 1996, professional in natural stones for over 23 years. We have a good reputation for the high-quality product and sincere customer service, which has established a cooperative relationship with customers all over the world. Such as kinds of international projects of Meezan Bank project in Pakistan and Viceroy Hotel in Dubai. 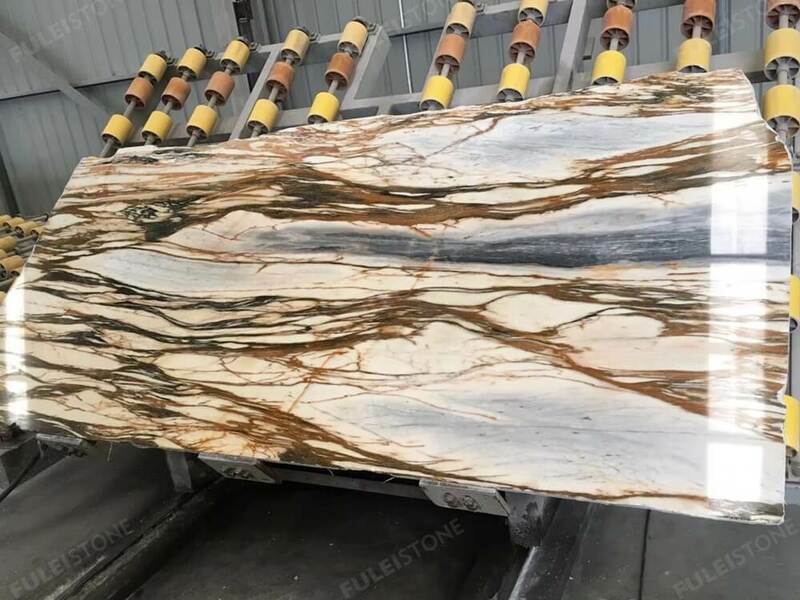 About the new giallo siena marble slab, if have any interest please feel free to contact us. Table top: Square or round, the sizes as your drawing. Project Decoration: Residential & Commercial Building, Private Villa, etc. Other: Flooring&wall, background, Staircase, etc. Payment: L/C, T/T, Western Union, Paypal, Cash, etc. Fulei Stone (D&E Stone) is a stone quarry sourcing, manufacturing and trading combo company. 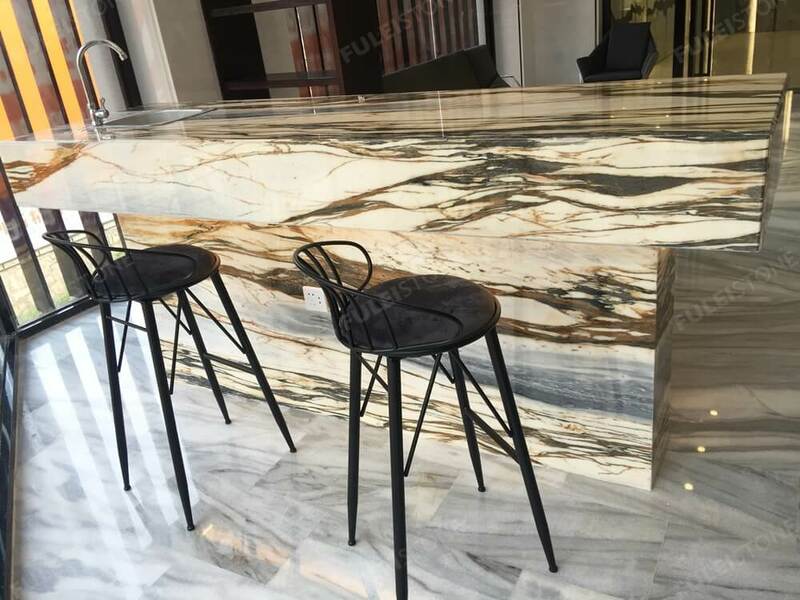 Our corporation has experienced technical team, inspection team and management team, specializes in big stone projects and wholesale, suppling quality stone blocks, marble slab or tile, countertop and other stone products according to various client’s requirements.